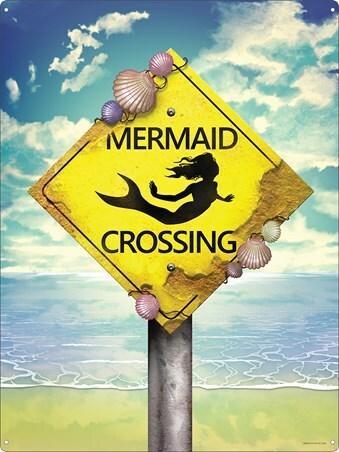 If you are ever lucky enough to stumble across a genuine 'Mermaid Crossing,' take your time, take a seat and wait it out - it will be worth it! 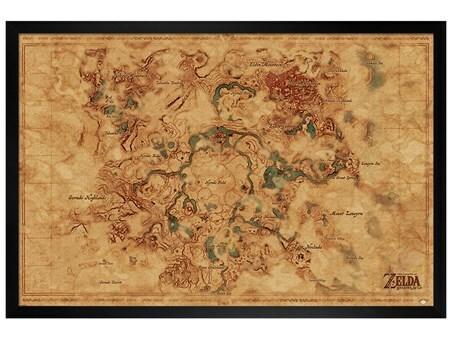 This fantasy inspired tin sign is perfect for all you believers out there, decorated with a pristine ocean view, complete with lapping waves on the sandy beach. 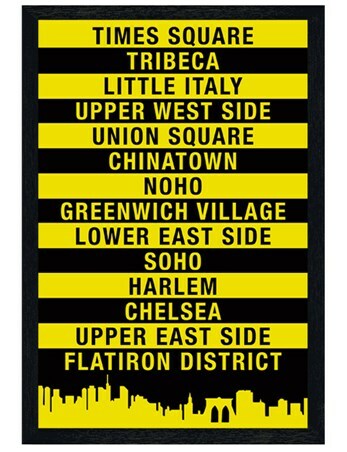 Stood firmly in the sand is a yellow crossing sign, peppered with pastel shells and weathered effects and stamped with the black silhouette of a swimming mermaid. 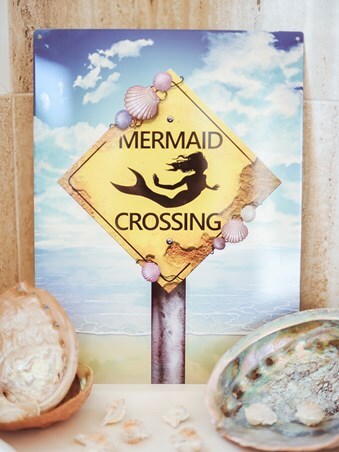 High quality, framed The Most Important Sign Of All, Mermaid Crossing tin sign with a bespoke frame by our custom framing service.